To lay out the argument on why empowering women needs to be at the forefront of policy discussions for NGOs, policymakers, and other institutions, it is important to first lay the foundation of the gender disparity climate in Haiti. A lot of developing countries are male-dominant cultures, and Haiti is not an exception. What does this mean? Often, cultural norms are established, usually over long periods of time, where women and men are categorized into assuming certain roles, performing certain actions, or fitting in to a specific space in society as they go about their lives.Generally, this can be characterized as women being the softer gender, assuming most or all household chores, deferring to the decisions of men either in the home or in business, or being pressured to marry and have kids at a young age.This structural, societal pressure that implies that men should do the business and women should take care of the home starts at a young age because it is a cultural phenomenon. Unfortunately, because boys and girls see issues like these starting at a young age, the external and internal effects of this societal pressure magnify the problem. Externally, seeing boys and girls in certain societal roles can influence how men treat women in the workplace, hiring decisions from employers, wage rates, etc. Furthermore, there are internal decisions that are made that can force this cultural pressure that already exists into existence. Doing more household chores than a male sibling day after day and being around this kind of environment that says girls must live their life a certain way might damper dreams and expectations, or it might cause girls to drop out of school because of the pressure of getting married and having kids, or because of confidence issues that have accumulated through her years of growing up that makes them think that marrying is the most stable option. Thus, the cycle continues. How do we fix it and get more women in business/the formal labor market? How do you fix a cultural phenomenon like this that prevents women from having the confidence to be entrepreneurs and chase jobs that aren’t thought of as “for a woman”? It starts with education and starting that education at a young age. Let’s start with why improving education (increasing enrollment rates and graduation rates for girls) and allowing education to be a natural conduit for opportunity in life and subsequently in business is so important, more-so for women. For one, education is the most tried and true method for one to break one’s self out of poverty. Unfortunately, there are a lot of countries that are ahead of the curve in being able to provide a cheap,quality education (along with additional subsidizes and incentives) for girls,but the relationship between years of education and economic and social welfare is strong and robust. Take a study [Peet, Fink, Fawzi (2015)], where the authors estimate the relationship between education and earnings in developing countries in Africa, and find an average return to education of 9.6% over the period of the data. This positive education-earnings relationship held consistent across all time periods in the study, for all countries, and for all regions included in the study. Interestingly enough, they also found that females’ returns to education were higher than their male counterparts across-the-board. There are many other studies that find positive relationships between education and wages, in developing and developed countries alike. T. Paul Schultz (2003) finds a 5-20% wage gain for each additional year of education in a model of African developing countries. Psacharopoulos and Patrinos (2004) find an average return to education in developing countries on the continent of Africa to be 11.7%. (Barro and Lee2010) (Card 1999) (Duflo 2001) (Psacharopoulos and Patrinos 2010) also highlight the positive relationship between education and earnings (or wealth). Why is it more important to have more women entrepreneurs in Haiti? There are also many empirical works that show that, when measuring the returns to education for individuals, higher levels of earnings or wealth for an individual occur when the mother has increased years of education as compared to the father having that same number of years of education. Thus, the data is clear that education is a key piece to the puzzle,because a more educated woman will be more likely to enter the formal labor market not only because women will diversify the workforce, bringing new perspectives, skills, and personalities, but because of the multiplier effect is has on the next generation of young men and women. This is important because more education leads to greater likelihoods of starting a business or securing a quality job. In short, we can bring more women into the labor market and into business by providing quality education and giving opportunity starting at the primary school level or earlier. How can organizations, institutions, and a culture begin to take tangible steps towards bridging the gender opportunity divide in Haiti? Starting to change the narrative while children are young can correct negative behavior before it has negative effects, and the more that kids see that women lawyers, doctors, engineers, and government employees exist, the more normalized strong women in business will be. 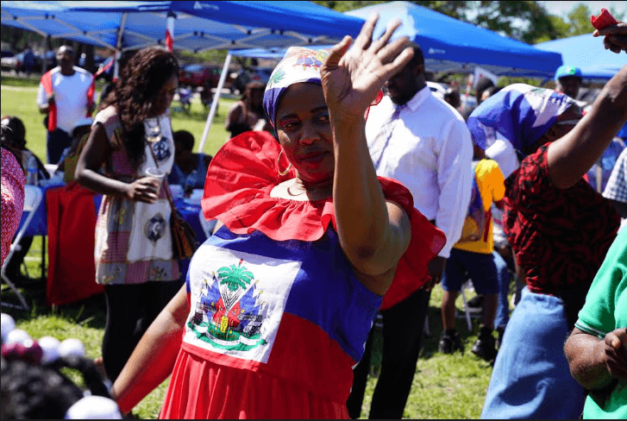 It starts with talking about it through forums and workshops, using comedic routines, lectures, activities, and bringing in Haitian women of credibility to speak. People with credibility need to speak up on this and make this an important piece of how we can push forward development in Haiti. We must break the taboo nature of women owning a formal business, taking out a loan to chase a dream, or even failing in the midst of her entrepreneurial spirit. Financial literacy classes, entrepreneurship workshops, micro finance solidarity groups, etc. that are gender-specific with a same-gender leader would also go a long way in bridging the divide and building confidence. As mentioned, it is clear that increased years of education (as well as supplemental school activities like sports, chess, and nutrition programs that round out growth) have an impact on wealth and earnings, and that that relationship is generally stronger for girls relative to boys. With that in mind, primary and secondary schools can set quotas for how many girls are enrolled, and if organizations sponsor scholarships for continued higher education, they can set quotas for how many girls get that opportunity as a share of the total. Business incubators and similar institutions could also set quotas for females to not only create greater opportunity for this potentially marginalized group but create a signaling effect of leading the charge for closing the gender opportunity gap; subsidies and waived fees could be a part of this initiative of inclusion. The last point is that more jobs, the oft-talked about but non-flashy approach to create steady economic growth is a part of the opportunity equation as well. Haiti is a nation where roughly 90% of the labor market is informal, and it is a nation that is already subject to an over saturated formal labor market (31). A large percentage of Haiti’s formal labor market is geared towards men, so there’s not even enough labor to go around for jobs that are typically filled by men. This makes it even tougher for women to get their foot in the door of a formal business and realize their true potential. It is possible that this issue will get worse, as a large influx of educated labor continues to enter an already over-saturated labor market. There is a space for the suggestions offered in this work to take shape, where a more financially-literate and confident group of women entrepreneurs will emerge, but attacking the jobs problem is another underlying issue that contributes to the lack of women in business. Barro, R. J., and Lee, J. W. (2010). “A new data set of educational attainment in the world, 1950-2010.” Journal of Development Economics 104: 184-198. Card, D. (2001). “Estimating the Return to Schooling: Progress on Some Persistent Econometric Problems.” Econometrica69(5): 1127-1160. Duflo, E. (2001). “Schooling and Labor Market Consequence of School Construction in Indonesia: Evidence from an Unusual Policy Experiment.” American Economic Review 91(4): 795-813. Schultz, T. Paul (2003). “Evidence of Returns to Schooling in Africa from Household Surveys: Monitoring and Restructuring the Market for Education.” Economic Growth Center(Center Discussion Paper No. 875): 1-53. Scot, Thiago, Aude-Sophie, Rodella. (2016). “Sifting through the Data: Labor Markets in Haiti through a Turbulent Decade (2001-2012).” Policy Research Working Paper 7562. World Bank Group. 1-41. Patrinos, H. A., Psacharopoulos, G. (2010). “Returns to education in developing countries.” International encyclopedia of education: 305-312. Patrinos, H. A., Psacharopoulos, G. (2004). “Returns to Investment in Education: A Further Update.” Education Economics 12(2): 111-134. Peet,Evan D., Fink, G., Fawzi, Wafaie. (2015). “Returns to education in developing countries: Evidence from the living standards and measurement study surveys.” Economics of Education Review 49(2015): 69-90.